Digital transformation is an oft-used phrase in industry circles. In general, the term is used to describe how organizations can harness the latest digital technologies to improve their business. But in the context of communications service providers (CSPs), what does that really mean? According to the TM Forum, digital transformation means evolving beyond basic connectivity and becoming a digital service enabler that capitalizes on the applications of technology. And ultimately, that business model shift will be rewarded with higher market capitalization. At last week’s TM Forum Live! event, executives did not shy away from the topic of rethinking their business models in order to achieve increased company valuation. The TM Forum membership is facing the competitive environment head-on. Disrupt or be disrupted. The reality is that cloud-native OTT providers have already disrupted the market with freemium business models, ad-based monetization, exploitation of user data, innovative services and cloud-based scalability. 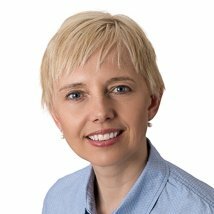 CSPs have taken up the digital transformation challenge. Their objective is to achieve agility through operations simplification, componentization and automation. The TM Forum is helping their membership navigate along this digital transformation journey towards agility, flexibility, and ultimately profitability. It has defined a Digital Maturity Model across 5 dimensions that need tight alignment: customer, strategy, technology, operations and culture, people and organization. Aptly for the digital world, TM Forum just unveiled an app with which companies can assess their current state of digital maturity, as well as the impact of their ongoing transformational initiatives. In addition, TM Forum’s CurateFx cloud-based software tool is available to facilitate collaborative design and enablement of partner-centric digital services. Achieving digital success requires a fundamental shift to data-driven, automated operations. CSPs have a wealth of real-time and historical data which they can exploit for new services as well as greater operational efficiencies. As one TM Forum Live! speaker from Du said, operators have already been managing an Internet of Things for decades: all their network infrastructure plus their customer devices. A SK Telecom presenter noted that operations personnel have to become data scientists. An AT&T panelist stated that machine learning is the most exciting technology for OSS. Now is the time to leverage the advances in analytics technology for optimal data-driven decisions that propel closed-loop automation, driving actions back into the network. The benefits of extreme automation are most tangible at the transport layers, including optical and packet. Transport is where service providers rely on a great deal of manual processes and therefore they stand to gain the most OPEX benefits by automating those operations. Given the innovations in optical hardware technology which provide granular programmability and real-time monitoring intelligence, operators now have the ability to fine-tune capacity for service requirements, and proactively ensure the health of the network. To accomplish such a strategic transformation requires collaboration. 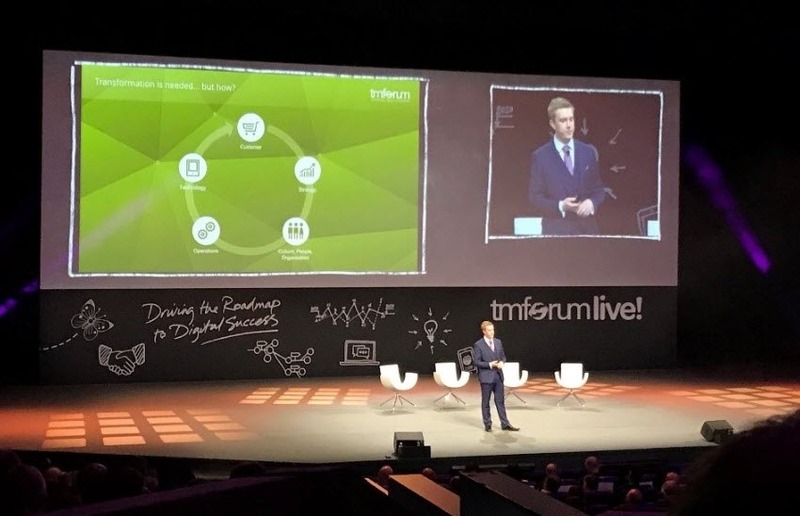 Whereas in the past, service providers were wary of being seen as publicly endorsing their suppliers, innovative service provider and vendor collaboration was in full evidence at TM Forum Live! In fact, TM Forum actively fosters such a collaborative environment by making it a requirement for their successful Catalyst demonstrations and joint presentations. At the event, SFR Group championed a Catalyst with Ciena, ATOS, Dell/EMC and F5 Networks. The demonstration showcased how Ciena’s Blue Planet orchestration and predictive analytics can be combined to deliver intelligent, closed-loop automation of NFV resources. 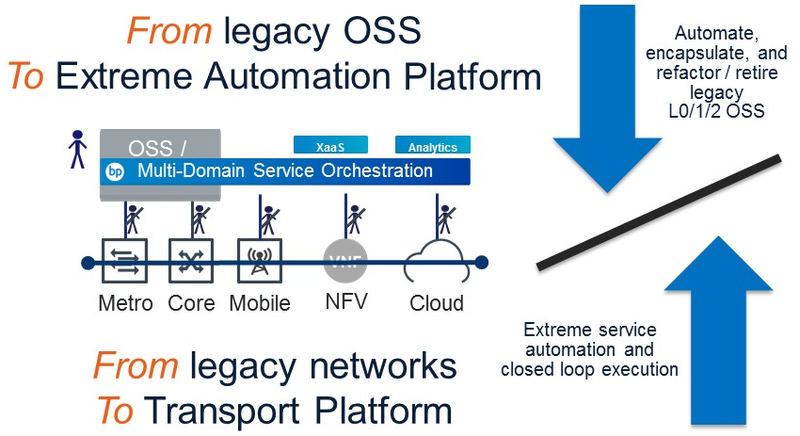 Orange Business Services co-presented with Ciena, describing their fully automated network-as-a-service (NaaS) offering, based on SDN/NFV infrastructure and Ciena’s Blue Planet orchestration. This case study served as a proof-point that operational agility enables new on-demand services to be delivered more quickly and cost-effectively. Operations is a cornerstone to digital transformation which requires tight integration amongst customers, data, process, technology, and people. The pace of operations can either accelerate or slow the transformation journey. With agile, automated operations, service providers are in the best position to drive to digital success.